Primary-coloured plastic lettering on a garment by Gene Kulkosa. Photograph by Thomas Adank. Whichever creative field you happen to work in, it can be both challenging and intimidating to step outside of your comfort zone and engage with an unfamiliar medium. However, as many who have made the leap will tell you, doing so can often bring about unexpected, thought-provoking and original results, and encourage you to consider your own practice in a completely different way. 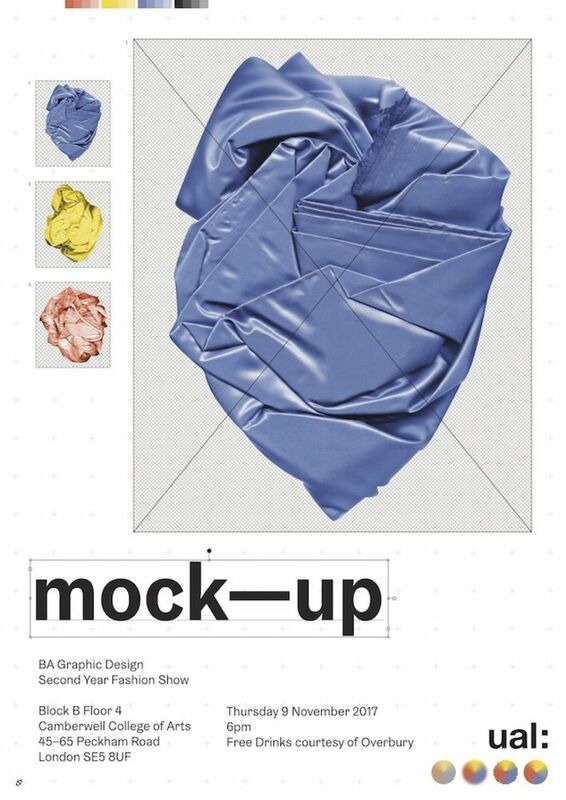 Second year students on Camberwell College of Art’s BA Graphic Design course gained some first-hand experience of that process this autumn, with a fashion-focused project set for them by Robert Sollis of Europa and Fraser Muggeridge that prompted an accomplished and diverse range of responses, and also resulted in a sell-out fashion show. 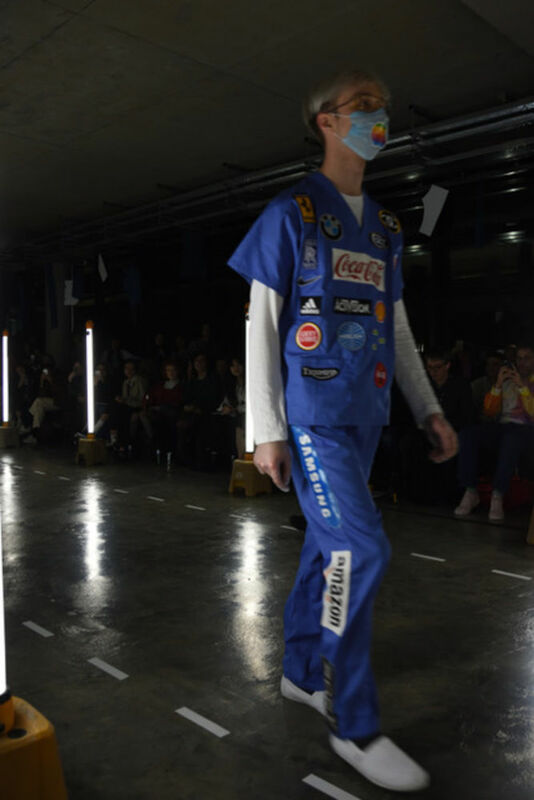 On the catwalk at the Mock-Up fashion show. 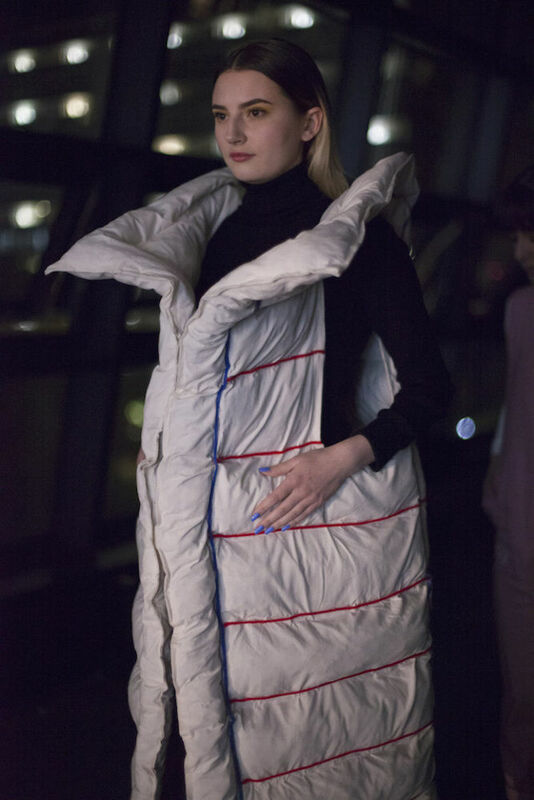 “Fraser and I had been talking about asking the students to design clothes for some time,” he continues, “but it wasn’t until Fraser suggested that we have a fashion show that the idea started to make sense. 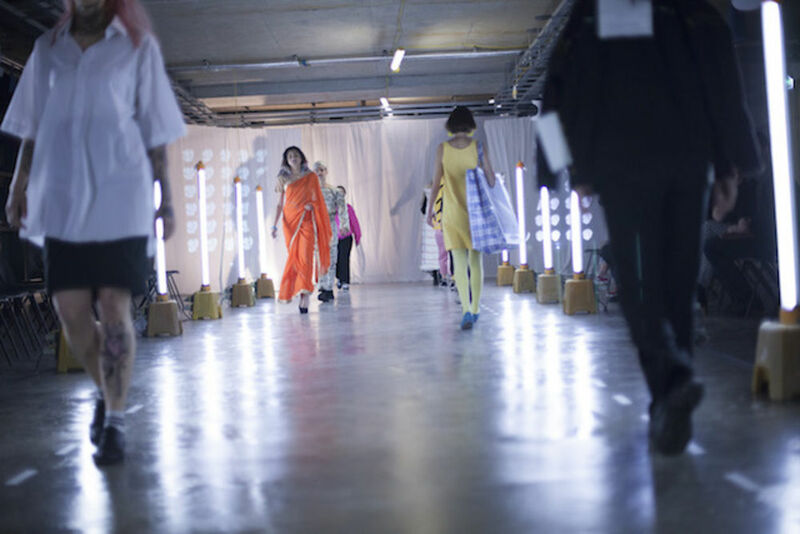 The show gave the project a focus and I like to find public applications for the work that we ask the students to do.” In order to put the fashion show together, the year group was split into small teams to tackle everything from hair and makeup to set and sound design, creating an identity and campaign for the show, and filming a trailer. 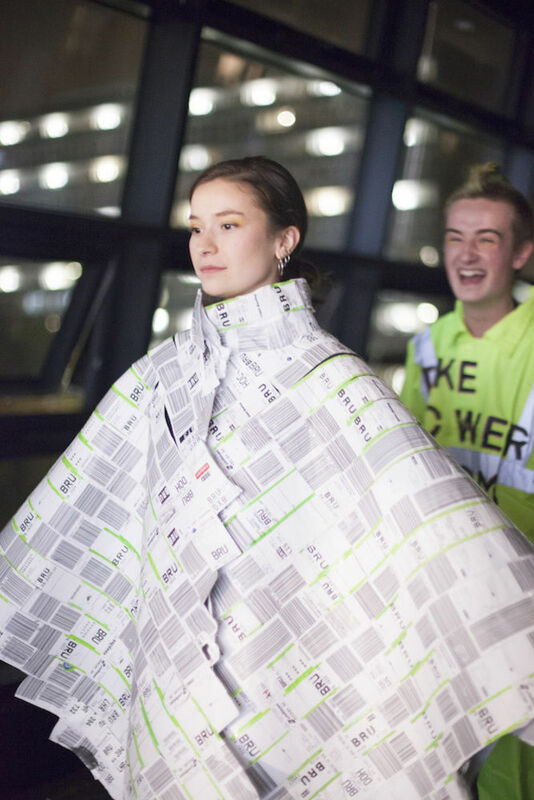 Scenes from the Mock-Up fashion show. 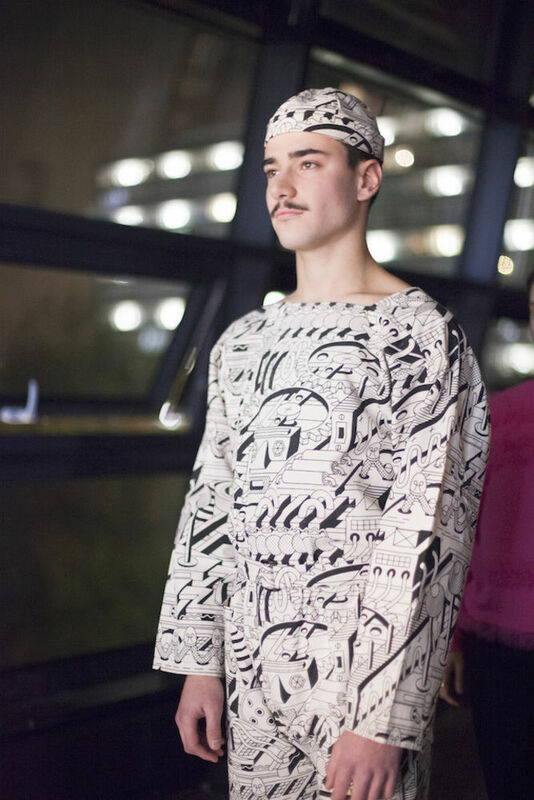 Harry Ross-Masson's garments on the catwalk. 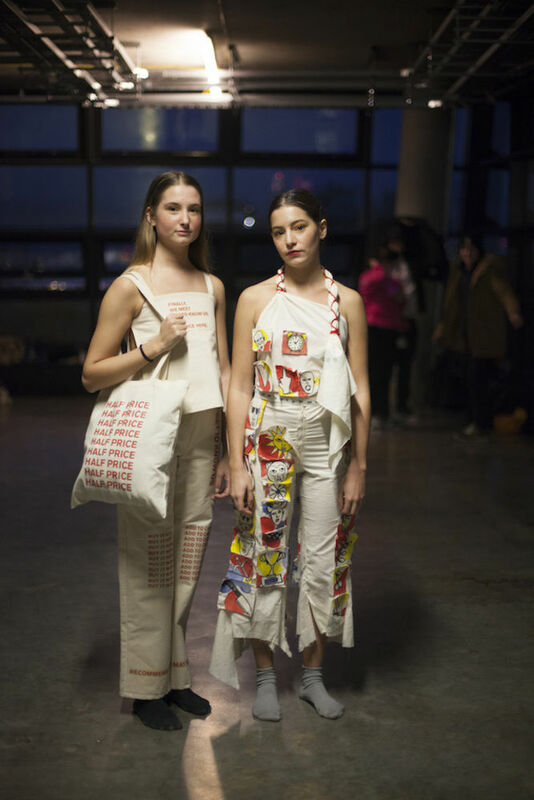 Garment design by Adela Campbell, who explains "“I decided to focus on online shopping, and the imperative and commanding language that is used to persuade us to buy more. 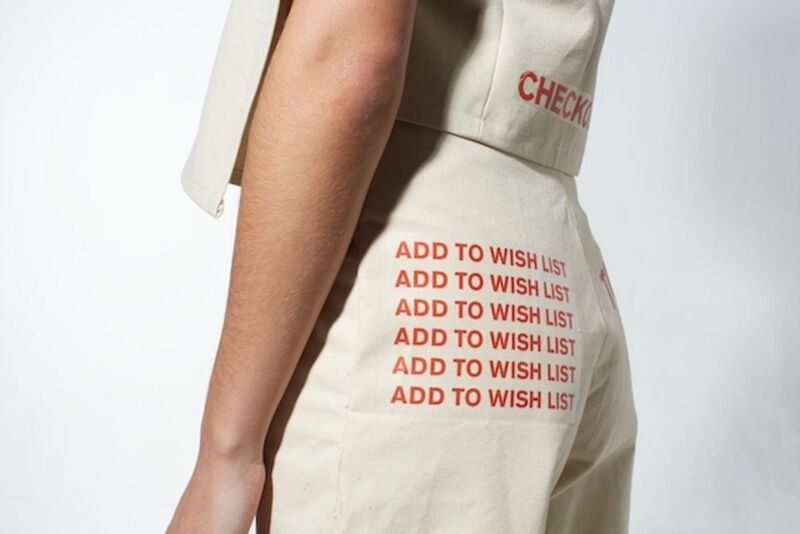 I wanted my garment to communicate this idea very clearly, so I thought removing these slogans from their context and printing them on to the garment in a minimal fashion would give a direct and effective message…At the same time this also objectifies the human body, making it a product itself.” Photograph by Thomas Adank. 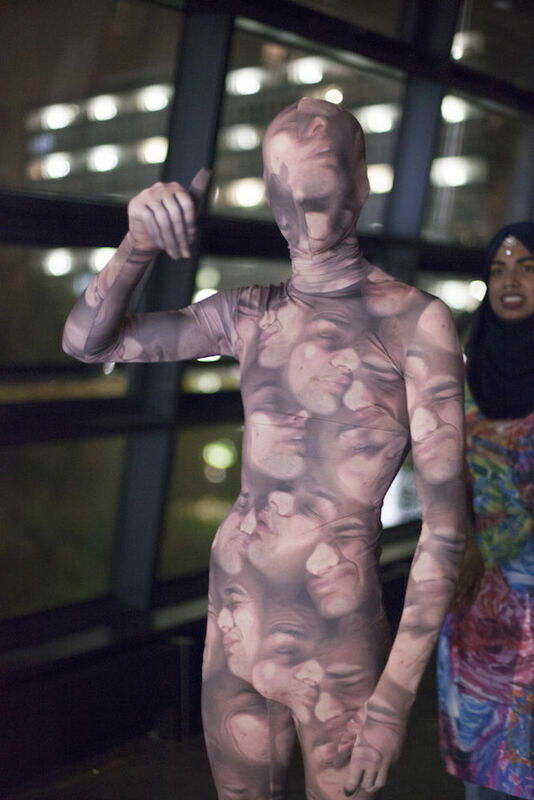 A morphsuit designed by Charles Calvey using scans of his own face. Photograph by Thomas Adank. 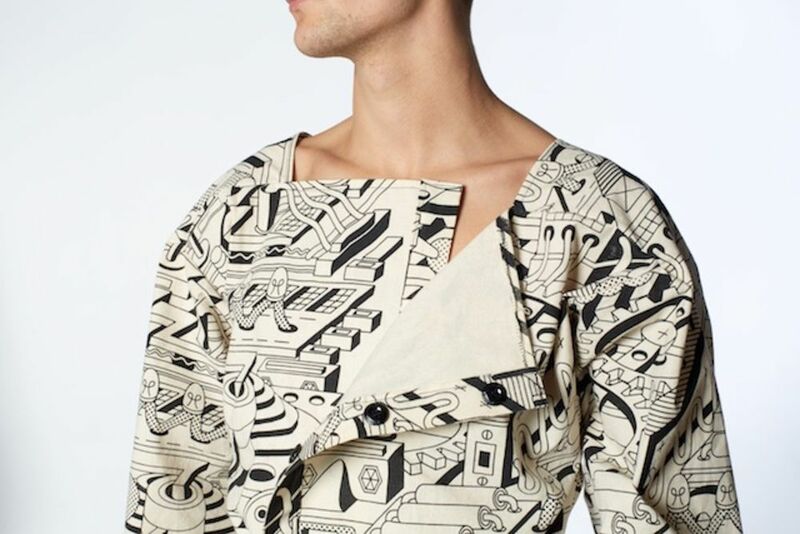 Tanguy Bertocchi's garments, featuring illustrated factory imagery. Photograph by Thomas Adank. 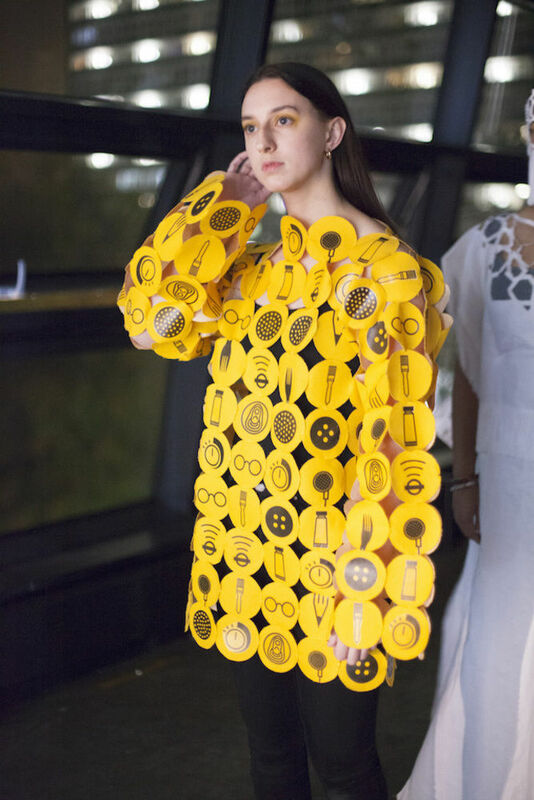 Beatriz Moura's interactive emoji-based clothing. 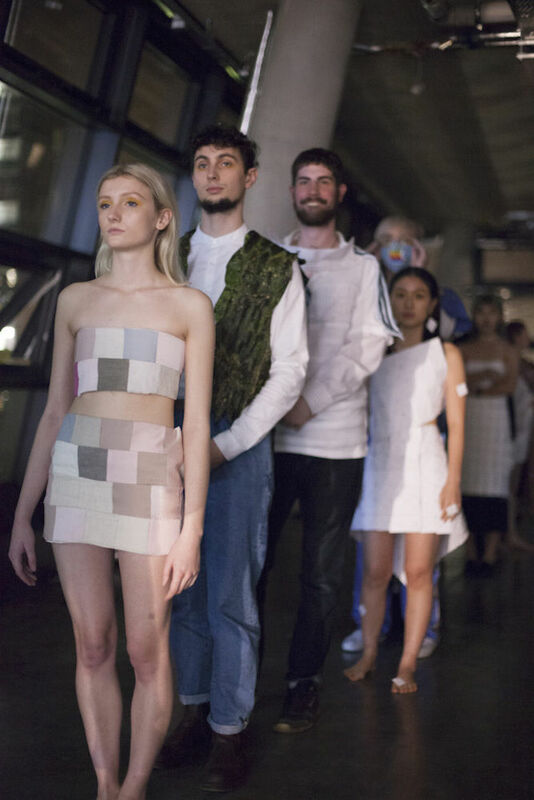 “I wanted to create a language to allow people to understand what they are feeling in the precise moment that they decide to get dressed,” she explains. “I chose to do so by using emojis, but through the use of this universal language, the concept became corrupted. 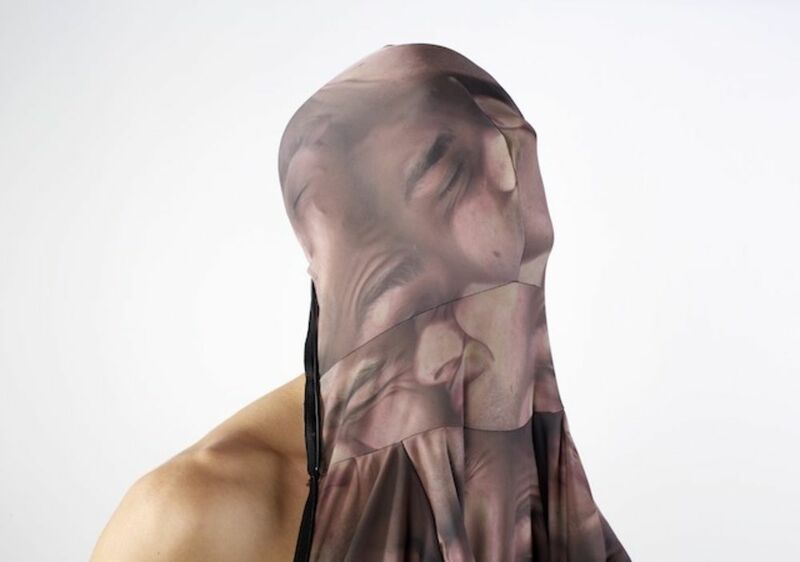 The garment began to reflect the distance between real feelings and these images which are designed to demonstrate how we feel – a distraction of effective communication.” Photograph by Thomas Adank. 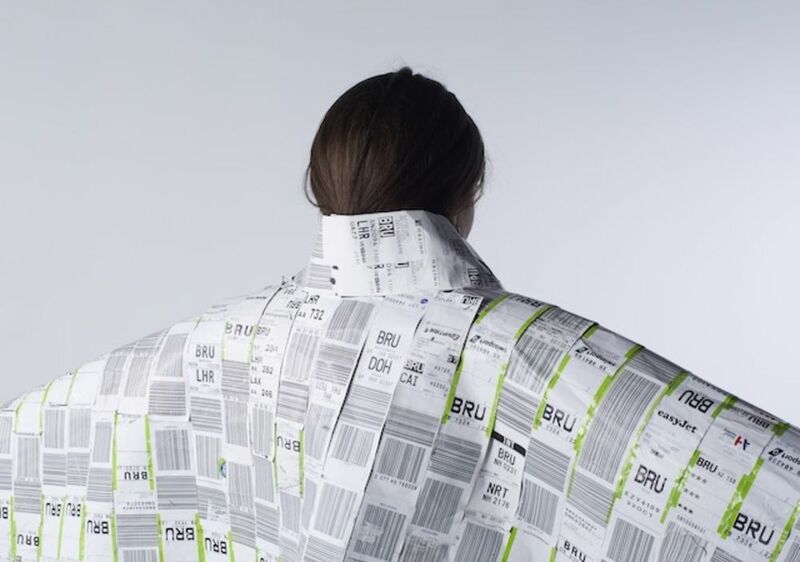 Myrthe Pieniakowski's garment, created from baggage tickets collected from people in an airport. Photograph by Thomas Adank.